Episodes of vertigo can be mild and last for a few minutes or severe and last for several days. What can trigger these attacks? Primary care doctors are only able to discover a reason behind vertigo in 50% of their patients. It can vary depending on the person. However, it is often related to the movement of the head. The vestibular system is responsible for regulating balance and letting the brain know where a person is located in his environment. This system consists of fluid-filled canals within the inner ear. If this system malfunctions for some reason, improper signals are sent to the brain leading to vertigo symptoms. A connection has been noted between a misalignment in the top two bones of the neck, the C1 and C2 vertebrae, and the onset of vertigo. If either of these bones is out of alignment by even ¼ of a millimeter, it can cause a number of different health problems. These bones are designed to protect the delicate brainstem and spinal cord. However, if they move out of place, they may place pressure on the brainstem causing it to send improper signals to the brain about where the body is positioned. At Sherwood Spinal Care, we use a gentle technique that allows the bones of the neck to move back into place naturally. We do not pop or force the spine into alignment as is common in general chiropractic. This gentle method allows for long-lasting adjustments that give the natural healing properties of the body time to take over and repair the damage done. Once corrected, patients often report seeing their symptoms improve greatly. 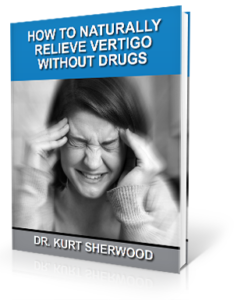 Some see vertigo become a thing of the past.